I’m feeling generous, so I’m going to give away my eCookbook to 3 lucky people! 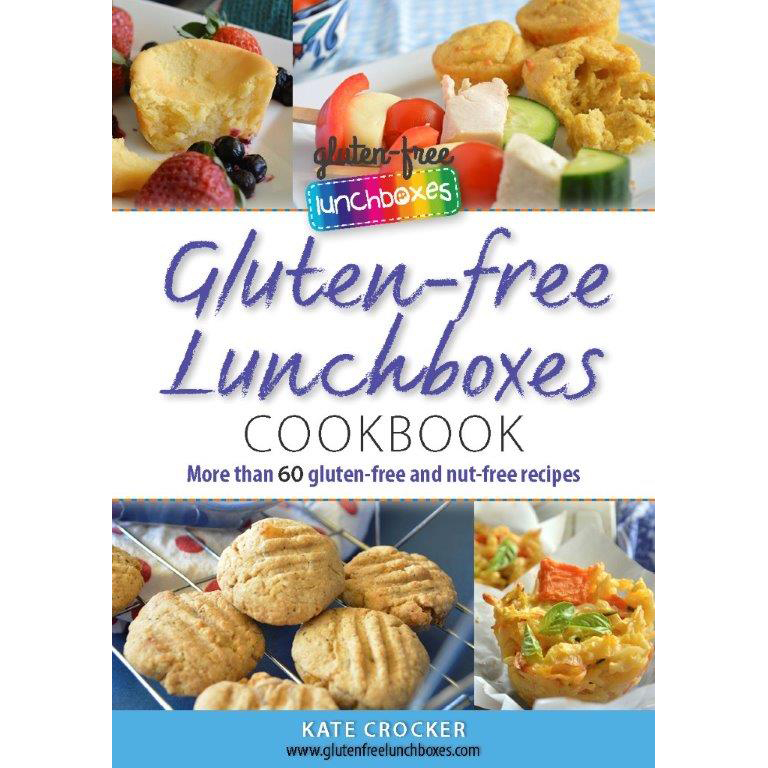 It’s filled with great lunchbox recipes, family meal ideas and special occasion treats. All recipes are gluten-free and nut-free and many can be converted to dairy-free as well. It’s also professionally designed and looks absolutely beautiful. I’m so proud of it and would love to share it with you. Giveaway closes on Friday 10 July 2015 at 5.00pm, Australian Central Standard time. Thanks for the opportunity to win. Could you let me know how much the book is so I can purchase it. My son is going through test for Celiac so I would like to get my hands on this book. I would love this gluten free cookbook as I have recently been diagnosed with a gluten intolerance. Hi! My four year old daughter has just been diagnosed with Leaky Gut Syndrome and therefore needs to go gluten free to heal her gut. So, this book would be an amazing help. Fingers crossed! Would love to find ways to spice up my 5 year olds gluten free packed lunch!! ? Lunchtimes can be quite boring when you’re on a restricted diet! Always wanting new recipes for gluten free meals. 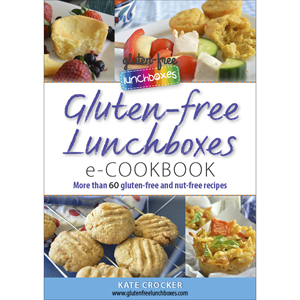 Would be a treat to receive a gluten free cookbook. Thanks for taking part everyone! The winners are Amy Halsall, Paula Pearse and Marilyn Forde. You’ve been emailed – check your inboxes! I’d love to win this, my 6 yo coeliac son is half way through Grade 1 & it’s already really difficult to pack his lunch. Mainly the main meal. He needs protein or finds it hard to concentrate & hates frittata-type things, savory muffins, rice paper rolls and many other go-to gluten free foods. He also won’t take leftovers or anything he has to eat with a fork. Currently the only thing we can get him to eat is cold sausages, and he mentioned he is getting sick of them. I’m so worried what to pack if he stops eating them!! Whoops I just noticed this has already been drawn! ?? oh well I will now BUY you’re ebook! Lol sorry I have a newborn – baby brain. Hi Natelle, don’t worry, I know what baby brain is like! Have a look at the Tabletop to Lunchbox chapter of the book – you’ll get recipes for family meals plus you’ll be shown how to convert the leftovers to to the next day’s lunch. He won’t even know he’s getting the leftovers! Also, the Noodle Nests recipe may work. Good luck! Needing ideas for my Granddaughter. Sounds like your ideas will be a great help.